As Northern European weather finally shift towards the autumn and inevitable winter, the sun is shining down here in Alanya and the shuttle busses are working hard to bring athletes, coaches, technical officials and the ETU Executive Board to the very heart of triathlon in Turkey. This afternoon the press conference was held. Present were not only ETU President, Renato Bertrandi and Turkish Triathlon President, Hamdi Güneş, but also local politicians; the important folk without whose support we simply could not have our races. Mehmet Zafer Peker, of the Local Organising Committee, who has worked so hard for so long and who has delivered such great quality races for Elite, Juniors and Age Group athletes was clearly delighted at the press interest. Easy-going comes naturally to him and in his own special way, anything that needs to be done, gets done. He has a strong team working alongside him and as the press conference was underway outside the build was going ahead to create the familiar layout of the transition area and run course. He explained that the municipality had been busy working on some sections of the roads that the athletes had previously complained about. Now the surface was smooth and much safer. Alanya welcomes triathletes and, it seems, also listens to their feedback. This is clearly a great advantage when you come back year after year to a venue. The Sports Ministry representative for Alanya, Mr Erdal Tamrak spoke of his thanks to the athletes for coming back each year to Alanya. The city is of major importance with regard to sport. There are several international sporting events that take place here and it is recognised that the economic impact of regularly visiting athletes is a major one. The Mayor, Adem Murat Yücel, took time to thank all those people who had invested so much time and effort to bring the event once more to Alanya. This is the 26th year of racing in a city where the sun smiles endlessly. He went on to explain that winning or losing was not the main thing; spending time together meant so much more. He singled out for thanks not only the President of the Turkish Federation but also, the very important figure of the District Governor, Dr Hasan Tanrıseven. He looked back to the time of the very first triathlon held in Alanya, back on 17th October, 1991. More than a quarter century ago. He was delighted that once more the city has been given the chance to host not only an international triathlon but also the ETU European Cup Final. He went on to remind us that Alanya, so full of sunshine, has other unique historical and natural beauties and that as a city, Alanya is taking firm steps forwards to become the capital city of sport in Turkey. This event is important for Alanya as the hard work of the athletes will do wonders to promote the city. He too gave his thanks to the Minister of Youth and Sport, to the Turkish Triathlon Federation and to the Mayor of the Municipality as well of course as to all the athletes and people who support the race. Using an interpreter, ETU President, Renato Bertrandi took everyone back in time. For him, Alanya means so much. Back to the 1990’s was when our sport featured regularly on Eurosport and when Lycra was just beginning to appear alongside fancy handlebars. 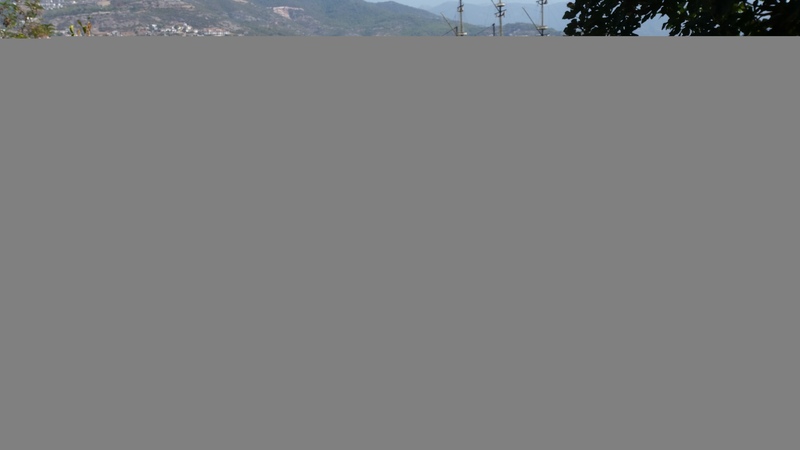 Watching the race on TV, with the wonderful weather and beautiful images of the course, Alanya looked amazing. Then there is of course the 2013 Congress when he was elected President of ETU. He took time to thank the Turkish Triathlon Federation, led so well by Hamdi Güneş, and to thank the Governor and Mayor of Alanya. With regard to the work that has been done by the Turkish Triathlon Federation, it has been recognised by the ETU Executive Board that Turkey has one of the most dynamic federations. The events that have been organised are of very high quality, the development of sport, with focus on the juniors leading to the Elite is clear evidence of the success of the investment of time and resources by the Federation. Evidence indeed of determined activity and hard work. He concluded by wishing every success to the Turkish athletes who had attended the press conference, dressed in their national uniforms and further wished them every success on their pathway to Tokyo, 2020. Hamdi Güneş, President of the Turkish Triathlon Federation expressed his pleasure at being able once more to continue with a tradition that has lasted 26 years. The journey along that timeline has always been made easy by the support from the district governors and mayors and he took this opportunity to thank them all, personally and on behalf of the Federation. At a time that Turkey was facing a degree of upheaval, there was still great support from Dr Hasan Tanrıseven and Adem Murat Yücel. Each year there is a determined effort on the part of the Turkish Triathlon Federation to improve that existing event. In 2013 and then 2014 and 2015, with the European Championships and then the two ITU World Cups and now, in 2016 we are hosting the Cup Final. He gave thanks to ETU President, Renato Bertrandi and the ETU Executive Board for their continued support and faith and reminded us that this race would be of benefit not only to the city of Alanya but also to the triathlon community. It was also the opportunity to thank Akif Çağatay Kılıç, the Minister of Youth and Sport and Mehmet Baykan, General Director of Sports.